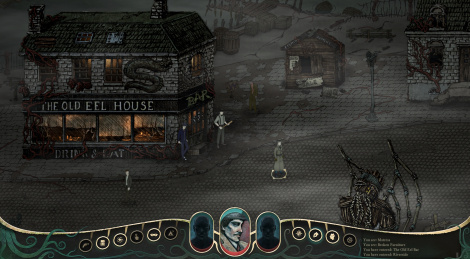 Revealed last year, the 2D lovecraftian adventure-RPG game Stygian: Reign of the Old Ones shows more today. Set in the cosmic horror worlds of Lovecraft with a journey that plunges player from a doomed Arkham into the depths of the Abyss, the title features a choice from eight '20s-style character archetypes, dialogue options influenced by player's sanity (Belief System), crafting system and tactical combat. First look with screens and trailers inside and if you need more, a demo is available on Steam.